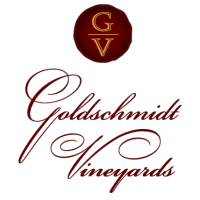 Goldschmidt PLUS Yoeman Cabernet Sauvignon comes from a small mountain vineyard just east of the town of Geyserville. The vineyard slopes to the southeast and is comprised of well-draining glacial loam. Soft morning sun promotes slower grape maturation and longer “hang times” in this secluded micro-climate. Rarely do vineyard conditions afford a winemaker the opportunity to make a wine such as this. Using techniques learned over time, Nick Goldschmidt selected four exceptional barrels of wine from the 2013 vintage. He drained each barrel over a period of two days and placed the wine in 100% new Taransaud Medium-Plus Allier for 12 months. The wine was racked and placed into another set of new Taransaud Allier barrels for another 12 months. Finally, the wine was aged in five-year-old French oak for an additional 19 months. Unfined and unfiltered. Nick hand bottled it directly from the barrels. Only 194 six-packs produced. A superb vintage. Near-ideal bud break with steady flowering, very even fruit set, and a lengthy stretch of warm days and cool nights during the long summer months. Smaller than usual berries developed very intense and concentrated flavors. Above average yields. Late rains had no effect at harvest. Our Cabernet Sauvignon saw deeper colors and more velvety tannins than in previous vintages.